​Team Bradley Bear Foundation Inc. held a GIVE BACK with House of Comedy on Saturday, Feb. 9th 7:00p.m. featuring Matt Iseman. An Usborne Online Book Sale was hosted by Lisa Campbell and consultant, Kelli Karau. 18 books were collected based on sales and donations! 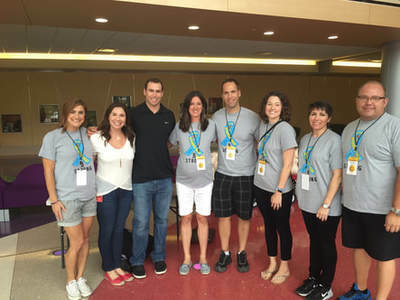 TBB held a GIVE BACK with Wow Wow Hawaiian Lemonades (Scottsdale location). 15% of sales during the few hours went back to support TBB. We raised $53.00. We thank everyone who came out to support TBB. Also in October, two Kinder students held a lemonade stand on their own raising money for TBB. They raised $36.36 for pediatric brain cancer. Thank you G and E.
During the month of July, TBB collected non-perishable goods for the Phoenix Children's Hospital Food Pantry. TBB collected cookies for the Phoenix Children's Hospital Bedside Care Cart. TBB raised over $200 towards cookies for those families at PCH. ​Be Brave, B Strong, Be Inspiring, B Bradley. OHSO Brewery and Distillery hosted Team Bradley Bear Foundation Inc. for a GIVE BACK day. 20% of all sale receipts mentioned at checkout supported TBB. We raised a total of $1161.00 with the receipts and donations at the door. Thank you to OHSO Brewery and all those we came out to support TBB. 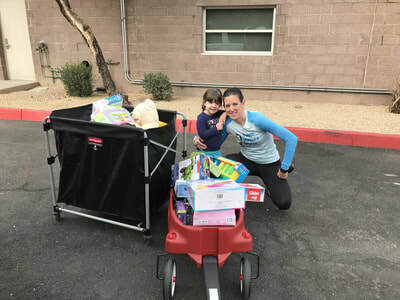 Team Bradley Bear supported the Phoenix Children's Hospital HOLIDAY Drive during the month of November! 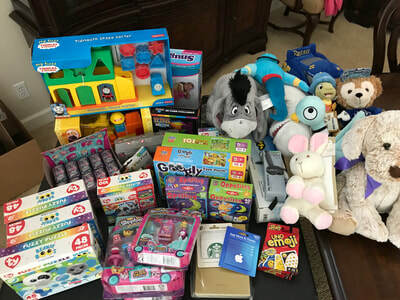 With your support, we were able to help many patients and families at PCH over the holiday season! Thank you to those who supported the Team Bradley Bear Foundation at the Kendra Scott Give Back! There was a great turnout! With Kendra Scott's gracious Give Back of 20%, we raised $912.95 to help support pediatric brain tumor patients and families. 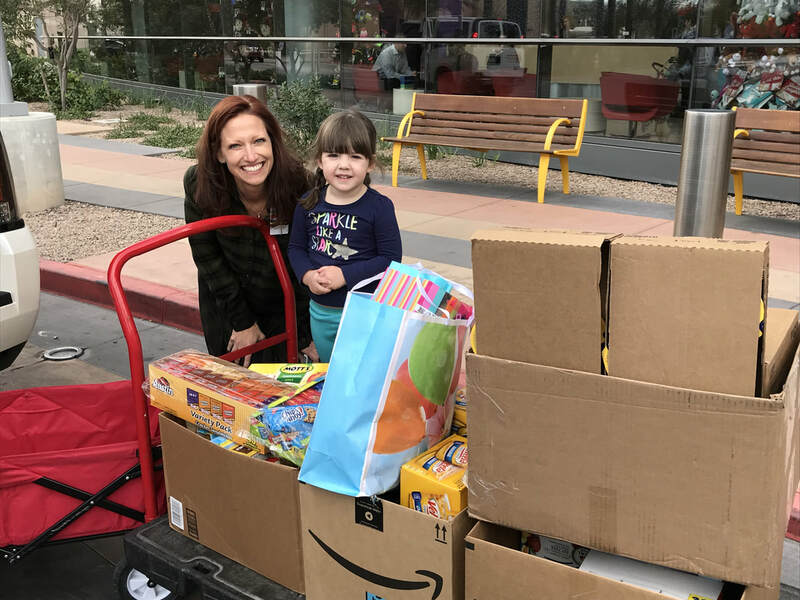 In honor of Childhood Cancer Awareness Month, Team Bradley Bear Foundation partnered with Phoenix Children's Hospital to collect children books for their oncology patients. TBB would love to add a smile to those patients as they receive something new to read! TBB raised a total of $645.00 towards the purchase of children books and we were able to donate 124 children's books for pediatric oncology patients. ​ With your support, TBB is able to assist our first child of 2017. He is a 14 year old boy named Josiah who was diagnosed in February 2016 with Ependymoma Brain Cancer. He and his family reside in the valley, but travel out of state for continued treatment. We pray that he continues to beat this cancer. 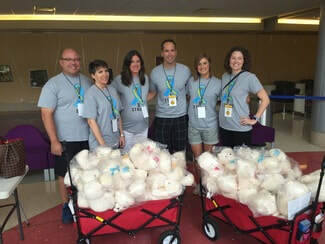 Team Bradley Bear made a generous donation to Fight With Finley. 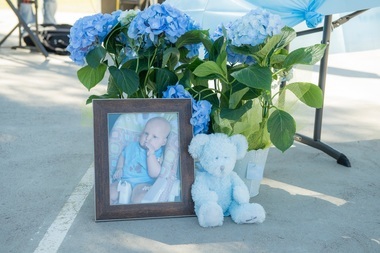 Finley is a little 9 month old boy who was recently diagnosed with a rare brain tumor; Choroid Plexus Carcinoma Cancer. We pray for this sweet family. Team Bradley Bear made a donation to Prayers for Presley. Presley was 6 months in May and was recently diagnosed with ATRT. Please keep her in your prayers as she fights this horrible disease. Bradley please watch over Presley. A big thank you to Jen Bauer, a Senior Designer with Keep Collective (a personalized jewelry company), who shared her chemo care pouch mission with friends and family in April. 31 individuals sponsored the chemo pouches. 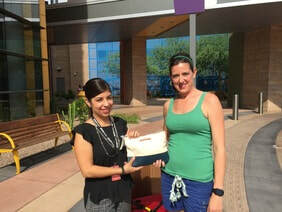 Jen donated her commission from each pouch to fill them up with small items that are necessary for patients receiving treatment at Phoenix Children's Hospital. 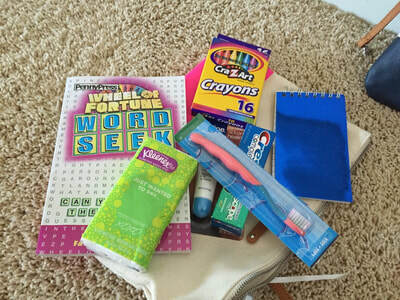 Items consisted of toothpaste, toothbrush, pad of paper, crossword puzzles, crayons, tissues, chapstick, etc. 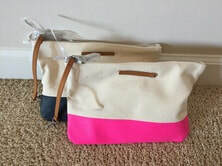 Jen has decided to donate these care pouches to PCH in honor of her nephew, Bradley. 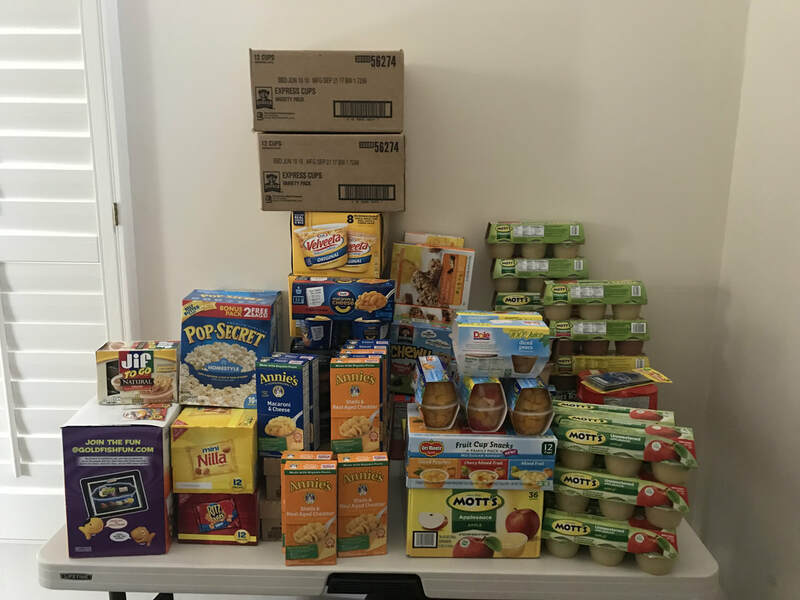 Thank you to Jen and all of those who sponsored a pouch! The patients at PCH will appreciate it very much! In honor of Bradley and to support Phoenix Children's Hospital patients, a group of us participated in the Smile Makers program at PCH. Smile Makers surprise patients in public areas of the hospital with a gift while the children wait for their appointment. It was a joy to bring a smile to children's faces as we gave them a teddy bear. Our timing was perfect as Paul and Amy Goldschmidt had just arrived at PCH at about the same time. They are the honorary co-chairs of the new Center for Cancer and Blood Borne Disorders. It was a honor meeting them and so thankful for their support to PCH. 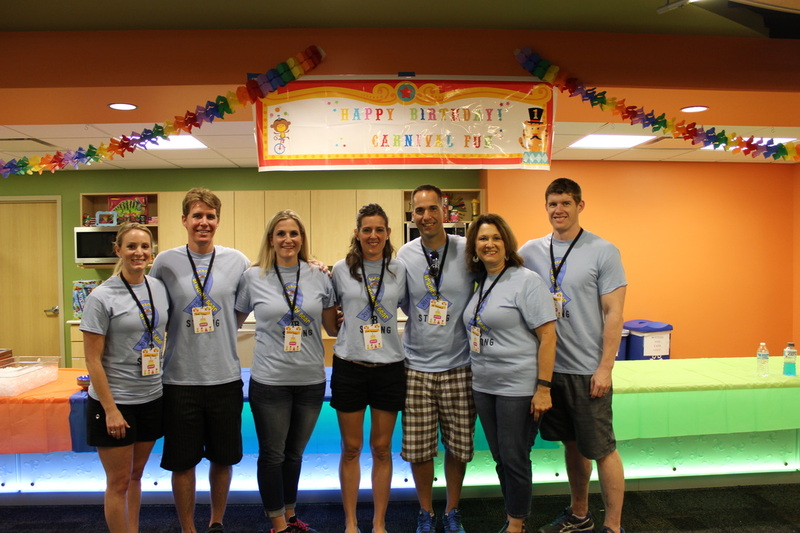 In honor of Bradley's 3rd B-day, TBB hosted a Bday Party at Phoenix Children's Hospital Kid Zone for the patients. TBB presented the Shayla Bee Foundation and Phoenix Children's Foundation with monetary donations. 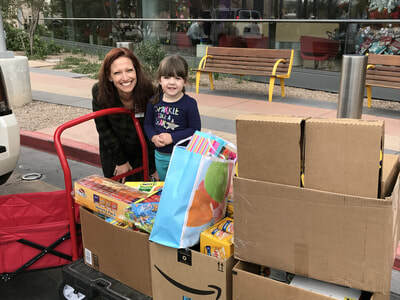 Members of the TBB family donated toys for the Phoenix Children's Hospital Clinic. TBB presented Phoenix Children's Hospital Foundation with our firs﻿t monetary donation in honor of Bradley's bday. The monetary donation will go towards the Cancer and Blood Disorders Patient Assistance Fund and to support Dr. Bhardwaj's research on ATRT. Phoenix Children's Hospital Collections for families staying at the hospital. Thank you to all who contributed and supported PCH.